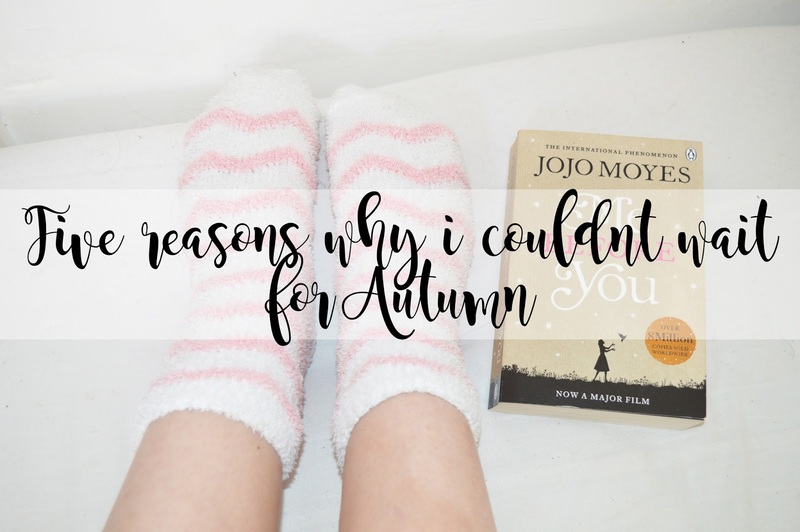 So I did plan on making this a "Five reasons why I can't wait for Autumn" post, but I completely forgot about it and every single day up until the first day of Autumn was then filled, so I have decided to make it a "Five reasons why I couldn't wait for Autumn". I'm sure you won't mind because you're all so lovely! I absolutely love Autumn, there's no doubt about it and it is definitely my favourite season out of all of them. Autumn has this weird thing about it where everything looks absolutely beautiful, even though it's dying. Strange isn't it? There are so many great things about Autumn, for example; Halloween, although I have never celebrated it and I was brought up not to celebrate it, I still love seeing the makeup looks which people create just for Halloween and some of these can come out pretty damn amazing if you ask me. I also love how everyone goes back to education in a new season, they all leave education in Summer and come back in Autumn, I just think it's amazing. No idea why, I just do. Autumn also brings some pretty amazing things, things to buy, things to bake, things to do and things to see. Lots of things! Bet you've never used the word "things" six times in a sentence! One thing I love to do in Autumn is bake because this is when all the spices come out and the yummy, bakes which make your whole house smell absolutely incredible. So, if you want to know five reasons why I couldn't wait for Autumn, then carry on reading! I absolutely love coffee and I absolute love hot chocolate, to be honest hot drinks are just amazing! I will always enjoy a hot chocolate in the evening however towards the end of Summer, the weather decided to change it's mind and bring us a heatwave. For someone who was really looking forward to Autumn and the rainy days, I was definitely not happy about this because it meant I couldn't enjoy a hot chocolate in the evening as I was just too hot. However, now the weather is getting cooler, I am definitely enjoying the hot chocolates every single evening with marshmallows and whipped cream. Yes I will eventually put on weight, but I'm fine with this, it's worth the hot chocolate and cream. I have never really thought dark lips suit me because I am so ridiculously pale, however this year I am going to put in more of an effort to rock the dark lips. I absolutely love the berry tone lipsticks and the dark browns too. If anyone can rock the dark lip, then I'm sure I'll be able too as well, eventually. I love candles, there's no doubt about it. I personally prefer the candles which are made for Autumn and Winter compared to the candles which are brought out for Spring and Summer. I feel like the very fresh and sweet scents give me more of a headache than what the dark and musky ones do. One candle I absolutely love burning throughout Autumn is the Salted Caramel yankee candle, it is absolutely fab and it breaks my heart knowing they discontinued it last year! They also make a room look so pretty in the evening. I LOVE oversized cardigans and Jumpers. Wearing a simple pair of leggings, jeans or even baggy trousers with a plain tee/vest, you can rock any oversized cardigan or jumper! They are so cosy to wear when it is a lot colder and they are perfect to either throw on when you're cold and take off if you get a little bit warm while stuck in traffic with your heaters full blast! This won't be the case for me as my heaters don't work in my car! I'll be wrapped up in a blanket instead. If I could wear anything for the whole year it would be pyjamas with an oversized cardigan, not going to lie! I am probably the biggest fan of blankets and fluffy socks, anything fluffy to be quite honest! I have way over 40 pairs of fluffy socks and too many blankets, but how many is too many?! One thing I have missed this year is being able to snuggle up in a blanket, with fluffy socks on while watching Netflix or movies! This has probably been the one thing which I have been most excited for with Autumn arriving! Who doesn't love fluffy socks?! Let me know four reasons why you love Autumn! Thank you for reading and make sure to follow me on Bloglovin and my other social media accounts.